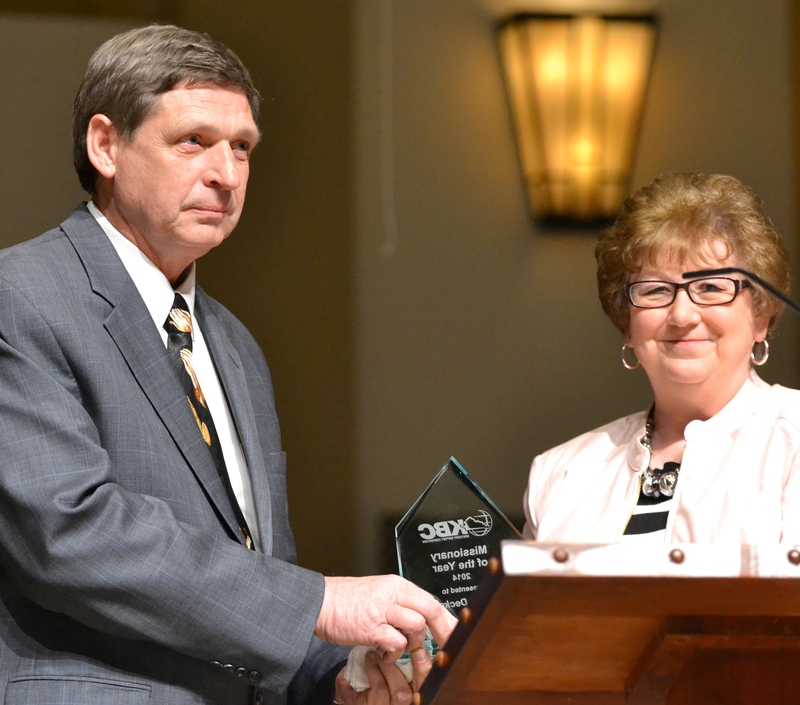 On April 4, Keith Decker was recognized as the Kentucky Missionary of the Year and twelve new missionaries were commissioned during the Kentucky WMU annual meeting at Central Baptist Church in Winchester. It was a special day to honor one who for the past 21 years has served so humbly and faithfully in ministry to the physical and spiritual needs of literally thousands of families. Many (300 during the past few months) have prayed to receive Christ through the outreach of Cedaridge Ministries, where Keith serves as Director. As Keith continues his service there are 12 new missionaries just beginning in ministry positions from the Illinois border to the Tennessee border and all across our state. These missionaries serve children, the homeless, those in jail, persons seeking help with recovery, families and those in ministry who may need a little respite, families living in poverty, and in a Christian camp settings. All twelve have responded to God’s call and are using their varied giftedness to serve. It is not an easy job but, as Keith would attest to, it is most rewarding. 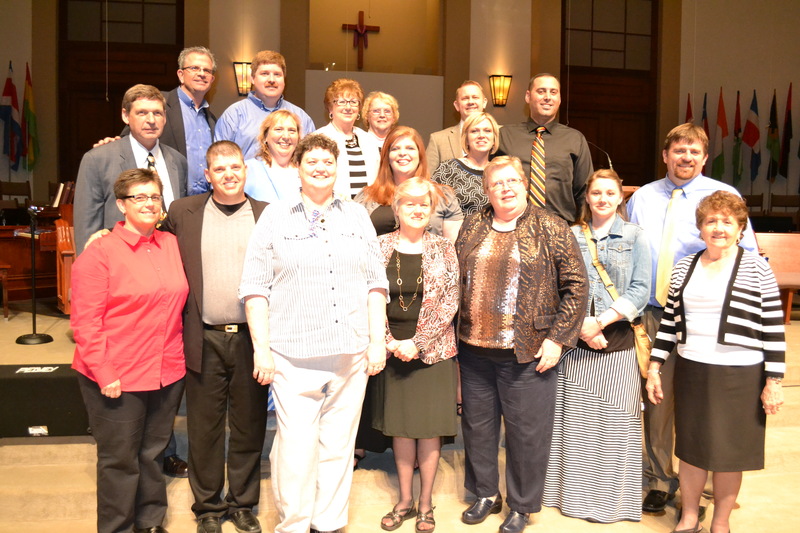 Please consider adopting one of these new missionaries and begin partnering with them in their new calling. Finally, consider how God may be calling and leading in your life. Could he be asking you to join the Kentucky missionary force to get the Gospel across our state? If we can help in any of these areas please contact us at 502-489-3530 (1-866-489-3530 toll free in KY) or email us at [email protected]. We would love to help you live out God’s call in your life.